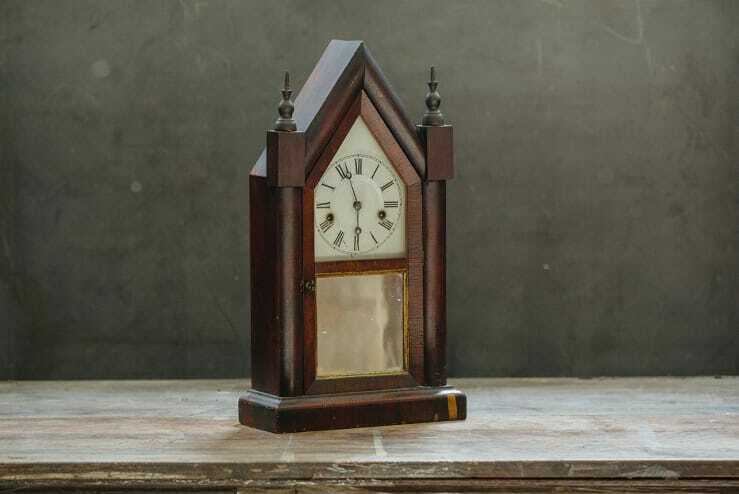 Ansonia Gothic steeple clock with wind-up mechanism. 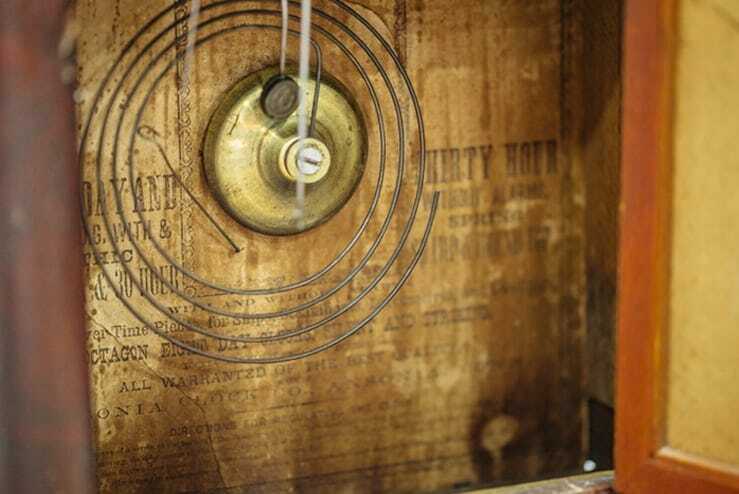 Twist the latch and open the mirrored door to reveal directions for regulating the clock printed inside. Comes with a key for winding. Ansonia Clock Company was founded during the 1800s in Connecticut. The manufacturer quickly expanded and produced more than 225 different models during its heydey.